Frank West is a freelance photojournalist on the hunt for the scoop of a lifetime. He travels to a small suburban town in pursuit of a hot lead, only to find that it's been overrun with zombies. What a way to start an assignment. Frank heads for the local shopping mall, assuming that he'll be safe there, but the zombies have taken over the place. Utilize everything you can find to fight off the flesh-hungry mob and search for the truth behind the horrendous epidemic. You can even use Frank's photojournalistic skills to capture the mayhem on film for posterity -- if anyone is left, that is. Zombies in a mall..need i say more. I remember seeing commercials for this game many years ago. So I figured I would finally give it a go. The game is simply unforgiving and frustrating. You are meant to start over and over from the beginning while retaining your current level and knowledge of where to go and what to do at specific times. These things are offset by a unique gameplay experience. There is no feeling like mowing down zombies with an actual lawn mower... Fast shipping and the disk was spotless. Lukie comes through with another smooth transaction, great service, great deals and great games consistently! Lukie alwaYS WINS!!! Game was awesome,good service. Thank u.. Your a freelance reporter investigating weird riots in a small Colorado town called Williamette. What you find is a lot of Zombies. This has to be the best zombie game of all time. I was worried that I would get bored quickly with what appeared to be a simple hack and slash game. I was surprised by a unique and fresh experience that quite frankly I've been waiting a long time for. Big thanks to Lukie games !! 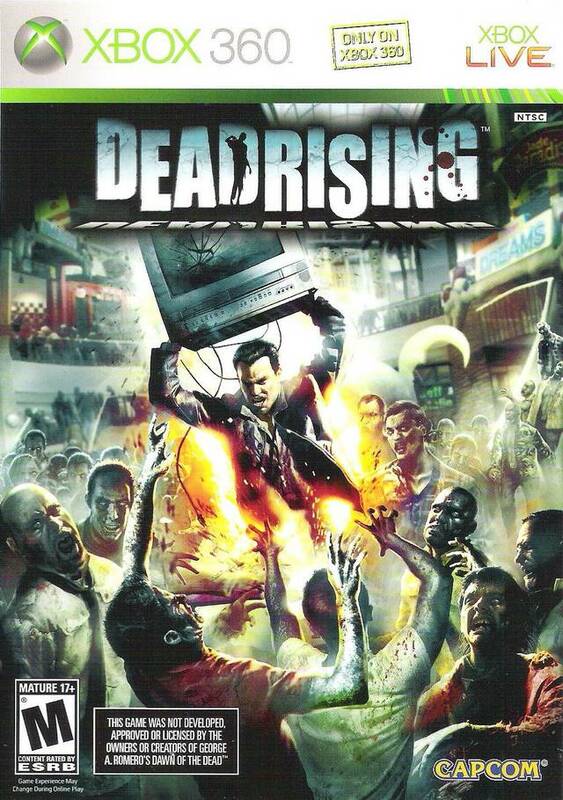 The greatest merit of "Dead Rising" is to have a unique style at a time when original ideas are scarce. It is a game designed for the new gaming platforms, able to process a greater volume of information. The system of save, which requires the player to redo long stretches, is a bath of cold water, especially in more advanced cases. The missions merely lead survivors from point A to B and, despite varying difficulty, also leave the game a little repetitive over time, but are offset by huge interaction that shopping offers. 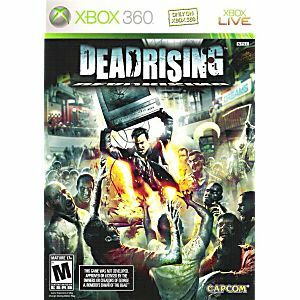 A classic that all Xbox 360 lovers who love to beat up and thousands of zombies just for fun, should have in your collection. Great graphics and good history, includes many things to do. What can you say about a game that involves TONS of weapons and zombies? Other then, AMAZING, FUN, THRILLING, GRAND, there isn't much to say. Killing hundreds and even thousands of zombies probably won't get old, especially with this game. Lots of fun to be had with this classic, must get!